the albertinum is a famous fine art museum in dresden, germany, close to brühl's terrace and the zwinger. 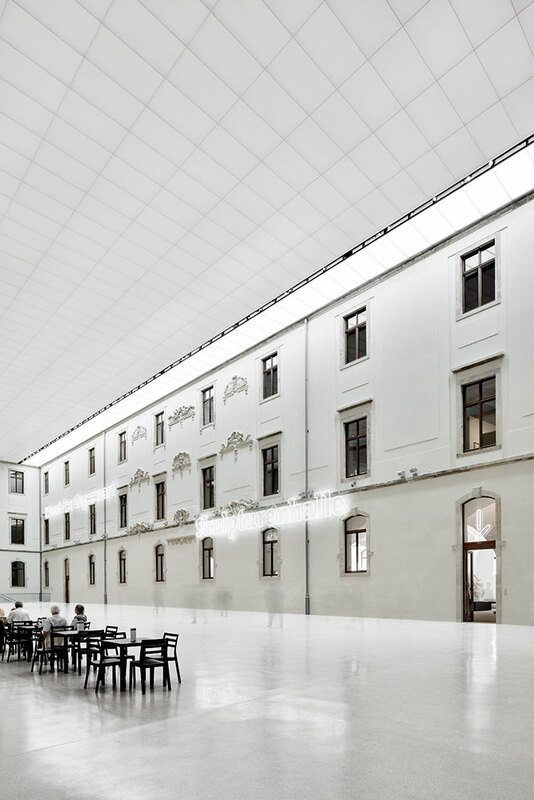 The floods of 2002 necessitated renovating the Albertinum and building a new flood-proof depository. this renovation was planned by staab architekten.